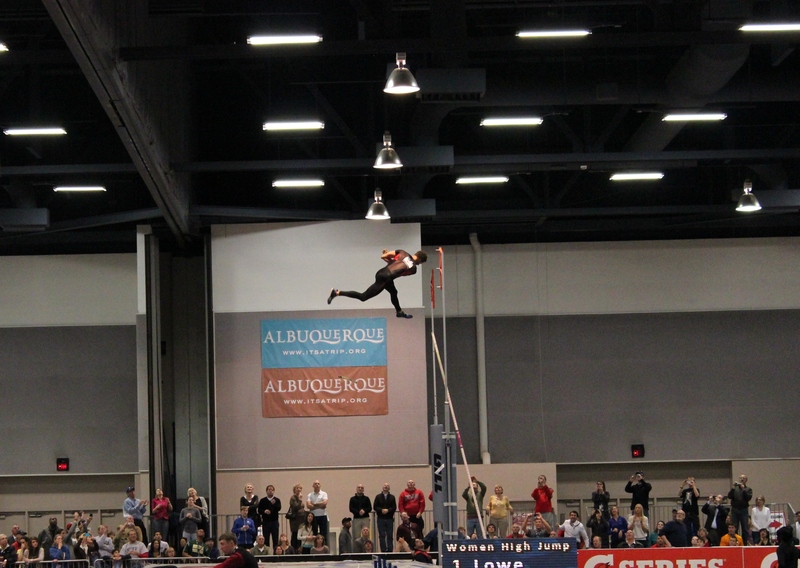 Every once in a while, something REALLY cool happens in Albuquerque. 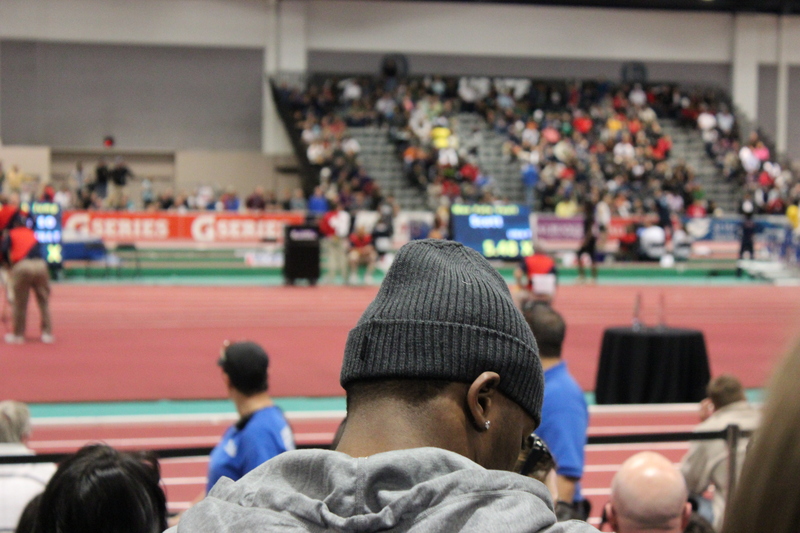 This weekend, that really cool thing was the 2012 USA Indoor Track and Field Championships. 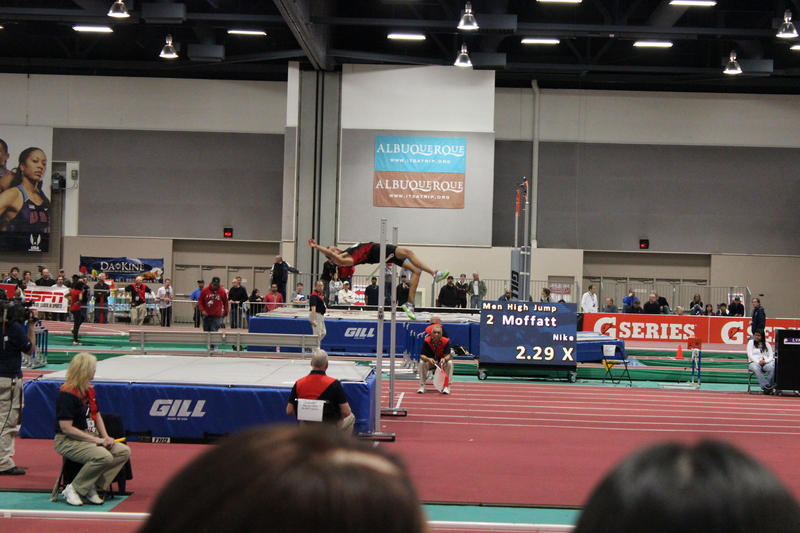 In other words, this weekend, I watched Olympic athletes do their thang. Awesome doesn’t even begin to explain it. 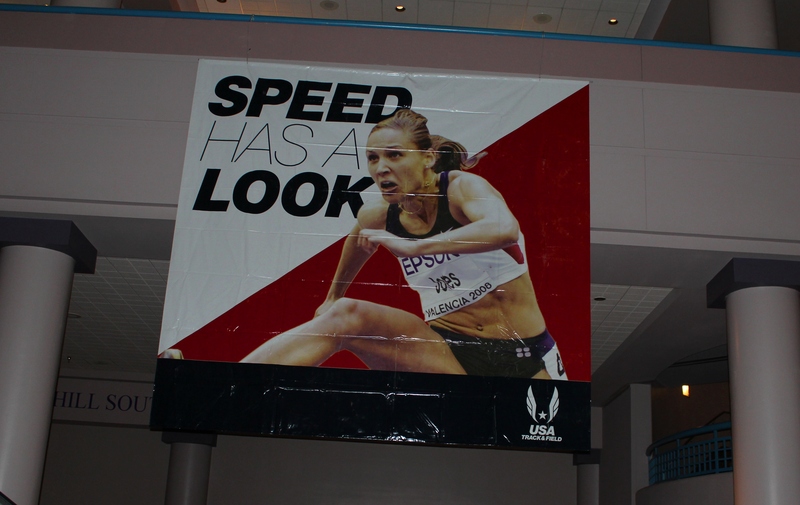 (which means, I was in the same building as Ryan Hall!…I looked but couldn’t find him. Ryan is an Olympic marathon runner and Sara’s husband ). 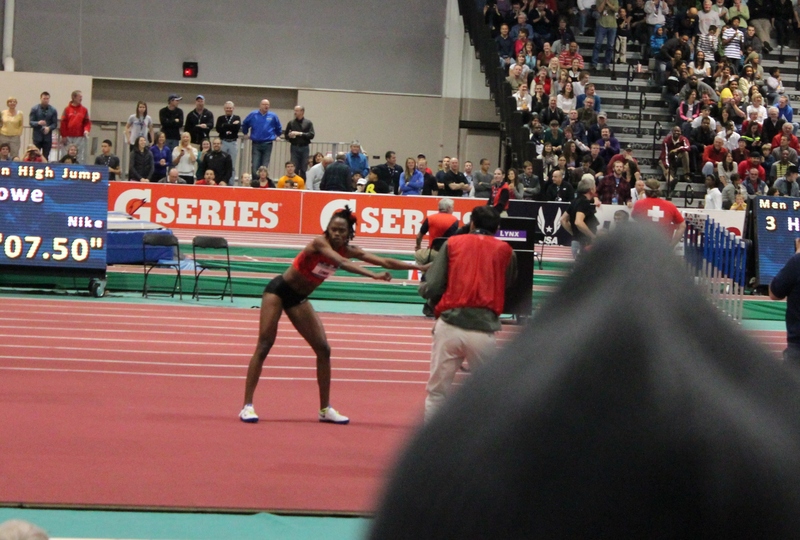 She didn’t win (she placed 3rd in the women’s 3000m), but she is drop dead gorgeous. And even though she didn’t win, she still runs really fast. 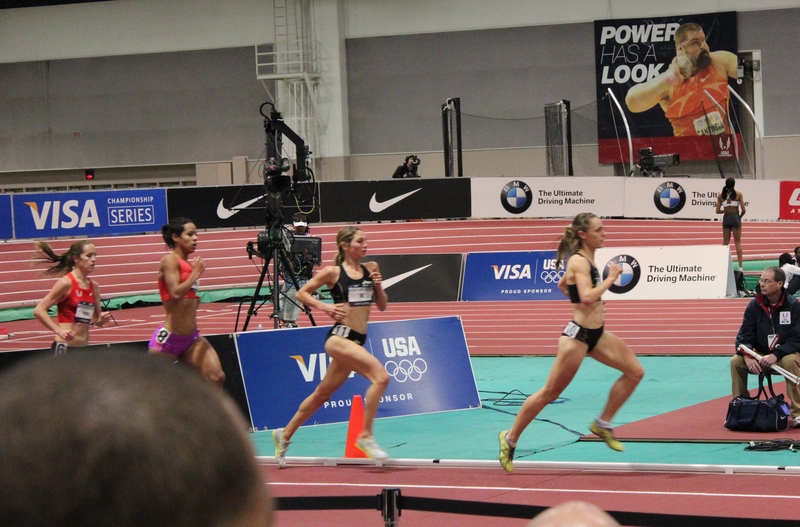 This lady is a running beast (check out her muscular legs). 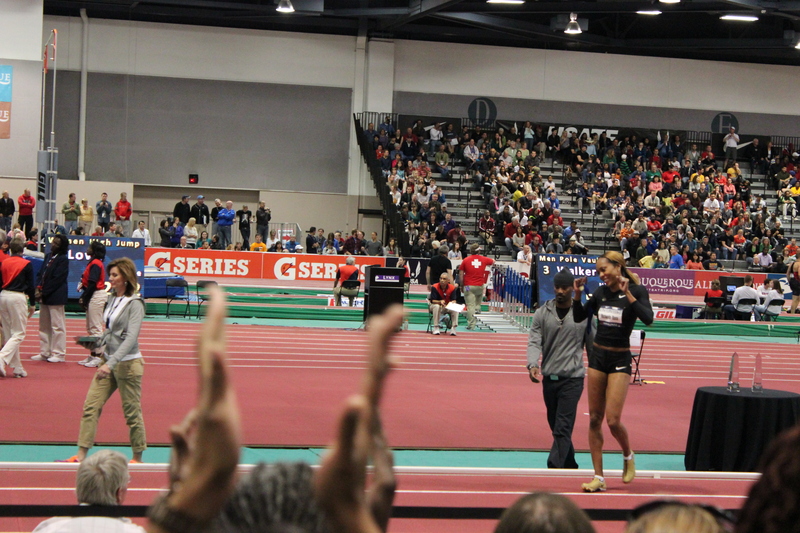 She powerered through the women’s 400m like nobody’s business. Turns out, her husband, Aaron Ross is a NY Giants starter (cornerback). We sat right behind them. We were dying to fangirl over this guy, but that isn’t really our style. Stalk and photograph the heads of famous people, yes. Interrupt their lives, no. Both Sanya and Aaron were being bombarded by superfans, but they were so gracious. They also sat and watched the entire competition, cheering for other runners, something most of the other athletes didn’t do. It was a pleasure to sit behind them and their family! Yesterday was also Sanya’s 27th birthday (she’s my age), and her and Aaron’s 2nd Anniversary (seriously….we are twins!). 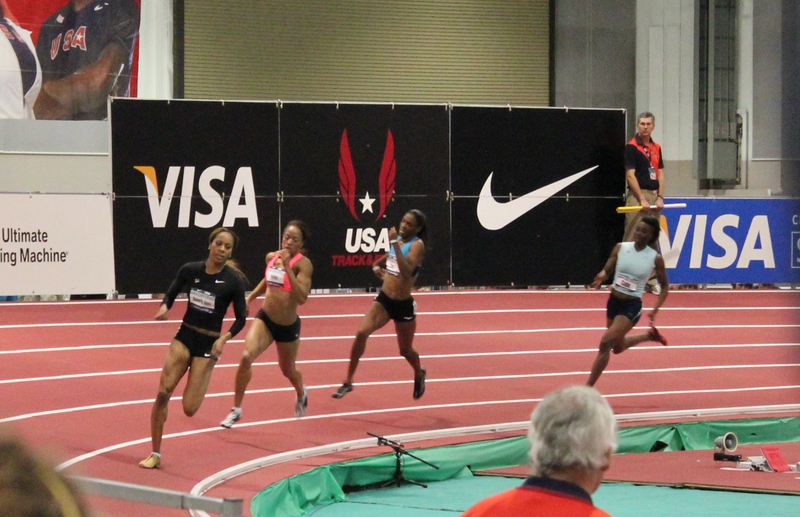 Sanya has been to the last two Olympics, and was bronze medalist in Beijing. She will be competing in London this summer. 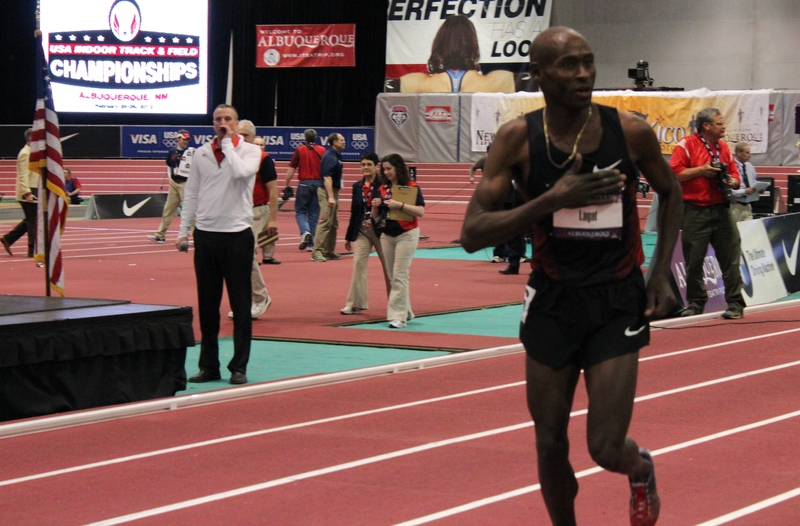 Lagat appears to be another truly genuine person. 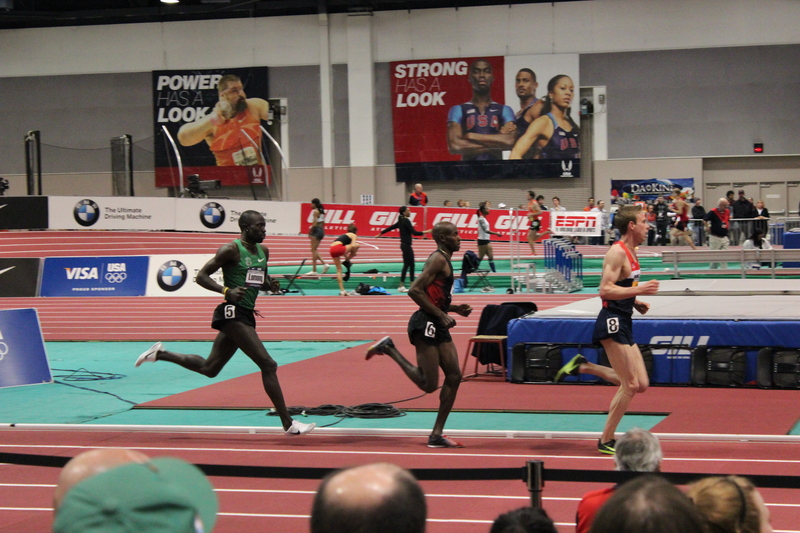 The three top men pictured above in the men’s 3000m are all previous Olympians, and they were of an entirely different caliber than the non-Olympians competing (by the end they were a full lap ahead of the others). They didn’t even look like they were breaking a sweat. Lagat will compete at the Olympics in London. 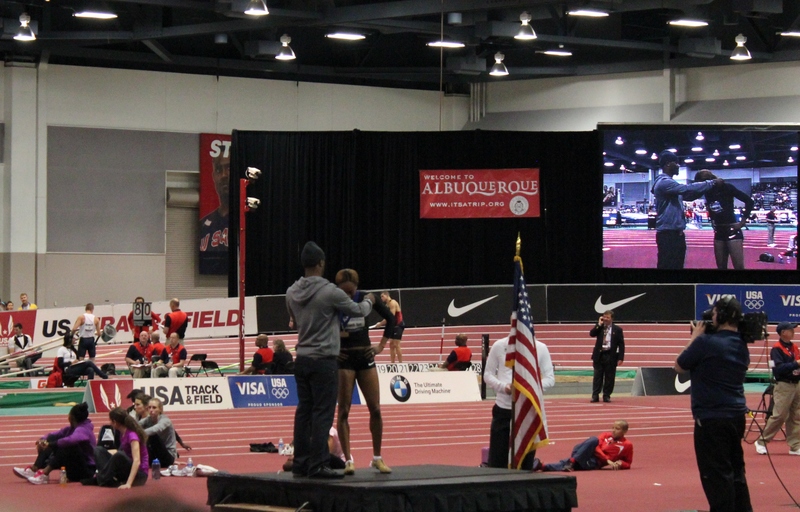 Chaunte Lowe break the American high jump record. I don’t even know how she can launch her body up that high like she does. Plus this girl is HILARIOUS. She was a boogie queen. She’s been to the last two Olympics, and my guess is she will probably be competing in London after her performance this weekend (she was also the overall Visa Series winner). 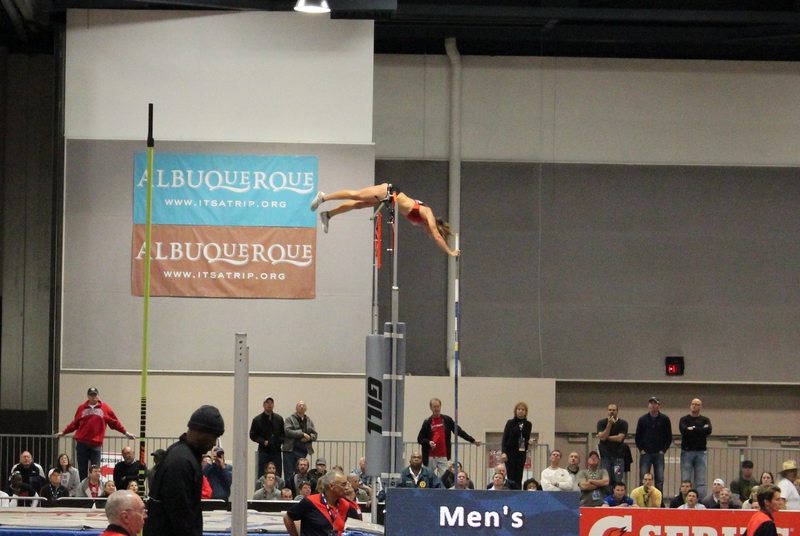 Lots of pole vaulters fly through the air. Why on earth would you need to run in sunglasses and a gold chain is beyond me. I guess it worked for him though because he won! And some seriously thin (but strong) girls. It looks like I will have to lose half my body weight to be a competitive runner. ESPN aired the competition a few hours after it happened, so we were actually at home watching the footage. We even saw ourselves on TV! 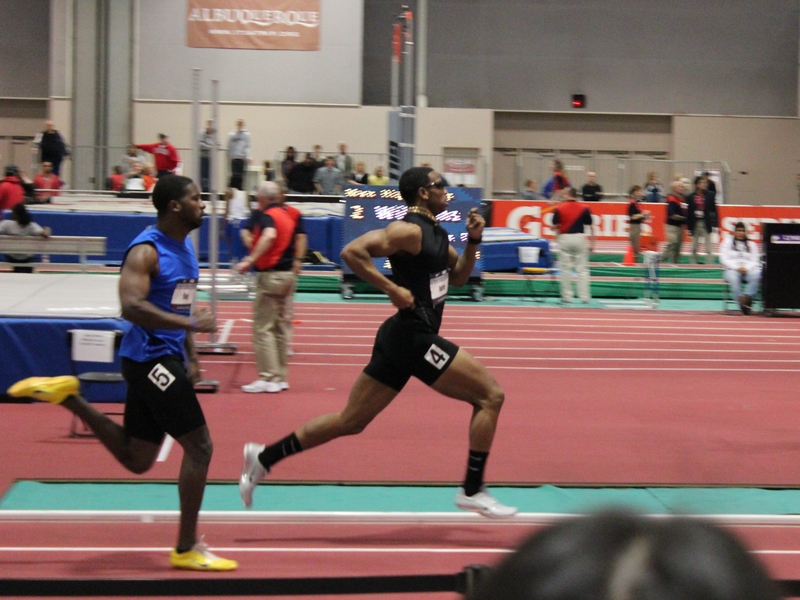 Having the opportunity to attend the Indoor Championships was a wonderful experience. I have never been more inspired to be a runner. These athletes are so powerful and good at what they do, and most are so humble. 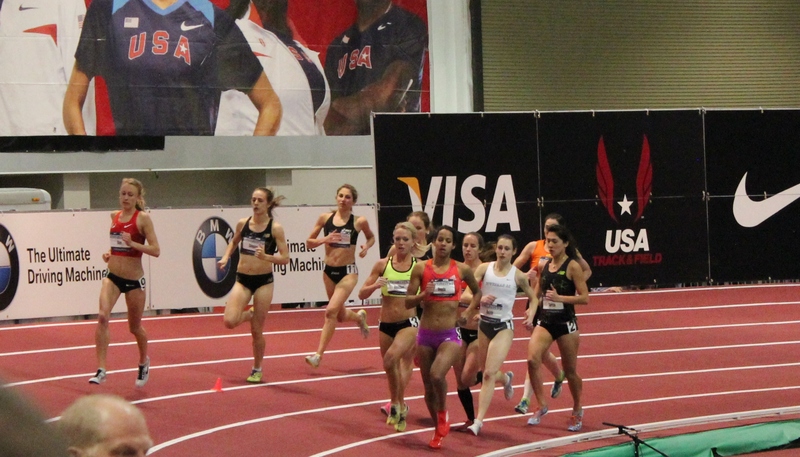 I will be excited to watch these people compete in London this summer. I will be cheering for them, feeling like I know them a little bit after getting a glimpse of what they are like when the camera isn’t rolling. Meanwhile, I have about 100 more pictures to upload that I’ll put in another blog post on another day. The pro’s make it look so effortless! It is amazing watching them!